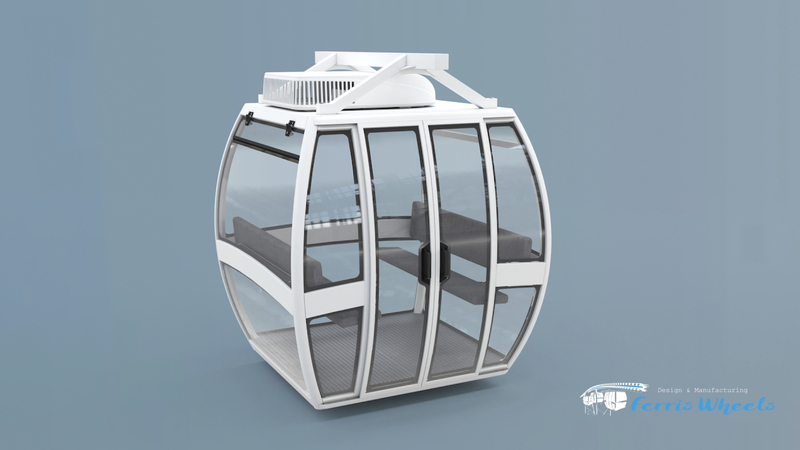 Do you need new Cabins for your Ferris Wheel? The cabins are among the most important components of a Ferris Wheel. Their design should be light and nice to compete with future requirements of local authorities and should be able to attract positive opinions of media and news. All passengers entering the cabins will remember the sensations collected by seating in the cabin and looking the surrounding panorama through the windows. While other manufacturers offer cabins with sharp corners and flat surfaces, we are offering an aerodynamic design with curved windows and a much more modern design. Some other manufacturer offers windows in polycarbonate (that will loose their brightness and will scratch with the time), while we are offer windows with real glass and a first class A/C system with integrated cooling and heating settings. Here below you will find a layout of our professional closed cabins, designed with front sliding door. Available as option also the double door, with front and back doors. 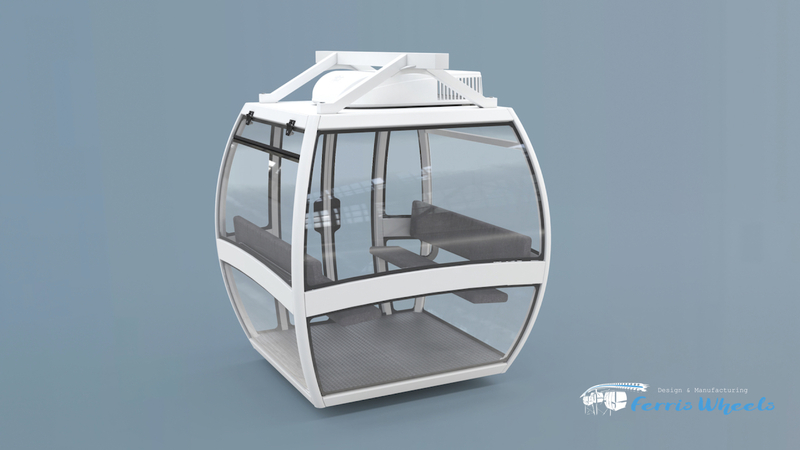 If you already have a Ferris Wheel and you would like to update your attraction with new cabins, you are in the right place. 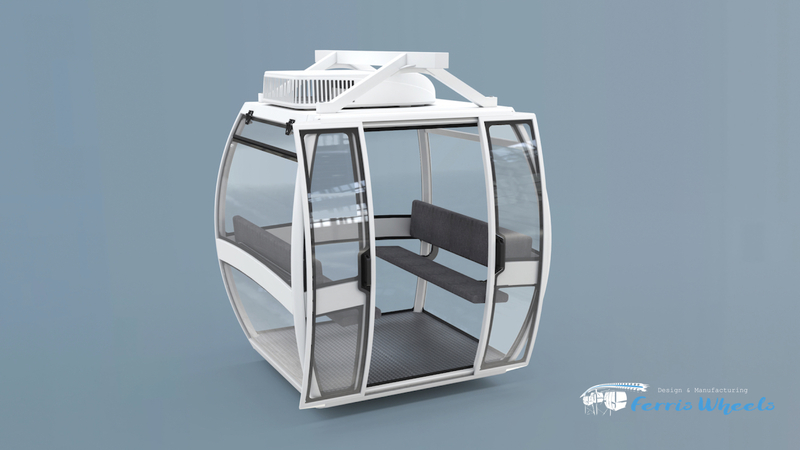 Our cabins can fit in most of actual Ferris Wheels thanks to our smart design. Contact us for more information.